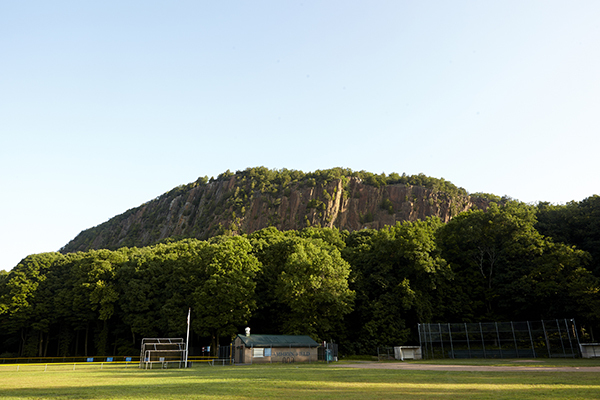 City Climb Gym is working with the Ragged Mountain Foundation to give back to the outdoor recreational areas we love. Throughout 2018, we are focusing on bringing the outdoor recreational community together in order to steward West Rock Ridge State Park, an area with 30+ climbing routes and boulder problems, mountain biking trails, bird watching, and hiking- all within a short drive from City Climb Gym. enhancing the overall aesthetic of the recreational area. All park users and outdoor enthusiasts are welcome to participate in this event. Volunteers will receive a t-shirt upon showing up to the event, and will automatically be placed into a raffle with products from local businesses. Participants are encouraged to bike, walk, or carpool at the event, where we will be meeting in the parking lot of Amhryn Field, located on the corner of Stone Street and Hard Street. If you are interested in participating in this event and becoming a Steward of the Ridge, fill out our registration form. or call City Climb Gym at 203-891-7627.